On Catechetical Sunday, Catholics are called to reflect on how they hand on the faith to others and bear witness to the Gospel. 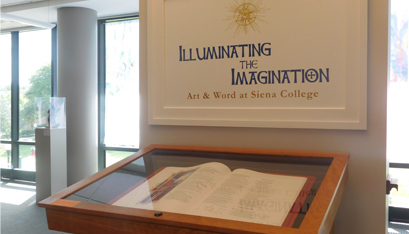 Siena College in Loudonville is working to ignite the faith of students, faculty and others in the Albany Diocese with an exhibit of the St. John’s Bible. The “SJB” is the first handwritten and illustrated Bible of its scale created since the invention of the printing press in the 15th century. 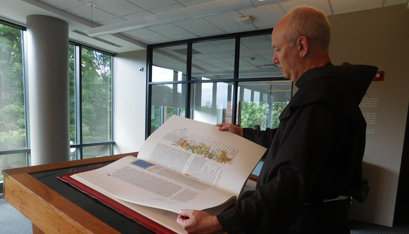 On Sept. 25, 7 p.m., Tim Ternes, the director of the SJB project, will give a presentation at Siena for the community about the Bible’s history and creation. Siena students can attend a separate talk the next evening. On Sept. 27, there will be a 1:30 p.m. presentation for faith formation leaders and, at 5:30 p.m., Bishop Edward B. Scharfenberger will bless the SJB, with a reception following. In 2015, Father Reamer was attending an annual meeting of the Association of Catholic Colleges and Universities when he got the idea to bring the SJB to Siena. “There’s something simply beautiful about it,” he said of the unique Bible. Over the next almost four years, Siena worked to organize a payment plan that would make obtaining the Bible feasible. Siena was able to finalize payment this year, thanks to numerous donors and a grant from The John, Marie and Joseph Whalen Foundation. The total cost for the SJB was around $250,000. “I’m very excited, and encouraged by the response on-campus and off-campus,” Father Reamer told The Evangelist. The SJB organizes the Bible’s 73 books into seven volumes: the Pentateuch, historical books, psalms, wisdom books, prophets, Gospels and Acts, and letters and Revelation. A number of the images incorporate modern elements: One page shows strands of DNA and viruses; on another, New York City’s Twin Towers as they stood before 9/11 can be seen in the background. Dr. Zaas is using the opportunity of the SJB’s presence to have students study it this year. 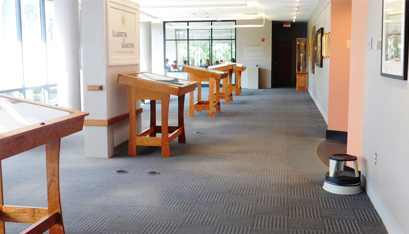 His students will examine the different artists’ interpretations of the text and dissect various biblical texts. The artistic director and inspiration behind the SJB is Donald Jackson, a British calligrapher and senior scribe to the Queen of England. In 1995, Mr. Jackson approached Rev. Eric Hollas, a Benedictine monk who serves as deputy to the president for advancement at St. John’s University in Minnesota, about his dream of hand-writing a Bible. Mr. Jackson was joined by six calligraphers and six artists. 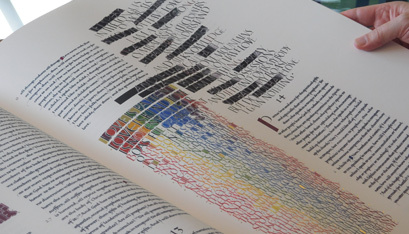 Together, the group hand wrote all 1,150 pages, and created more than 160 major illustrations. Mr. Jackson drew the first words — “In the beginning” — on Ash Wednesday in 2000; a Jewish scribe drew the Hebrew script. The project was completed in 2011, with only 299 versions of the SJB created. No two are identical, since many illustrations were hand-treated. 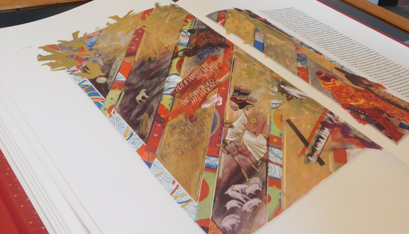 Some of the other owners of a St. John’s Bible include the Vatican, Yale University and the Mayo Clinic. Each of the seven volumes is kept locked in a glass case in Siena’s library but, with permission, students are encouraged to touch and read the volumes of the SJB. Patrick Moran, a senior at Siena, said he was able to look through a couple of pages already, but he hopes to come back and read through the SJB more thoroughly. A tour guide at Siena for prospective students, Mr. Moran plans to incorporate the SJB exhibit in his tours so that students and parents can see it. He also wants to publicize the exhibit on his class’ social media pages.